Pedal on Parliament in Edinburgh, UK. Edinburgh, UK. 28 April, 2018. 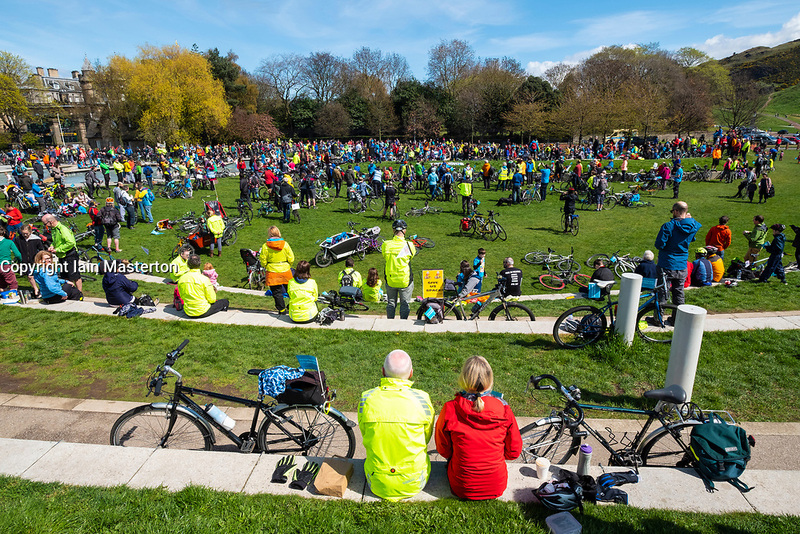 Hundreds of cyclists take part in the Pedal to Parliament demonstration to highlight lack of investment in cycling infrastructure in Scotland. Starting at The Meadows park they rode along the Royal Mile in the Old Town to a rally held outside the Scottish Parliament in Holyrood.